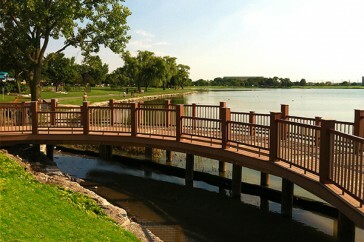 On June 2, 2012, we celebrated the Grand Opening of the newly designed North Lake Park. The land at Lee Street and Howard Avenue was purchased from Good Shepherd Church in 2007, funded in part by a OSLAD grant. (Open Space Land Acquisition and Development. Read more.) 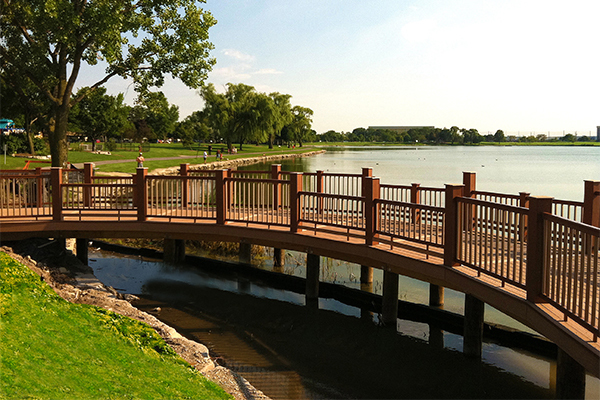 The decision to sell the property to the Park District was a significant contribution by the church congregation to the recreational and green space in Des Plaines, and made it possible to connect the new north park area with the whole of Lake Park. Plans for development of the area were created by the Park District, and then reviewed by the public throughout 2009 and 2010. 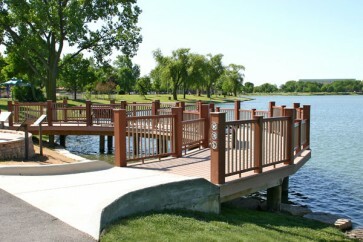 Construction was started in the spring of 2011 and most of the work was completed in late fall. For a PDF of this rendering, Click Here.